One of the beautiful characteristics of most East Nashvillians is their continual patronage to Dive Bars. While the rest of Nashville is bustling with honky tonks and bridesmaids galore you can still find some real soul once you cross over that big ole bridge into East Nashville, commonly referred to as East Nasty. Forget the overpriced beverage or the pseudo cowboy running around on Broadway. Why waste your time or your money there when Duke’s offers the $6 ‘Patriot’ special comprised of a shot of Four Roses Bourbon followed by a beer all with the added bonus of local DJ’s spinning their tunes on into the night. If you want to be real grunge about it Five Points is also home of 3 Crow, a true dive in every sense of the word. Yes, you can smoke in there (how is that still a thing! ), but the Bushwackers, ambiance, and trivia night make the whole trip worth it. Their craft beer selection will quickly make you forget the cloud of smoke you walk through to get to their expansive patios. There are several great restaurants in Five Points that make this small little enclave a great place to run around on a Saturday night. 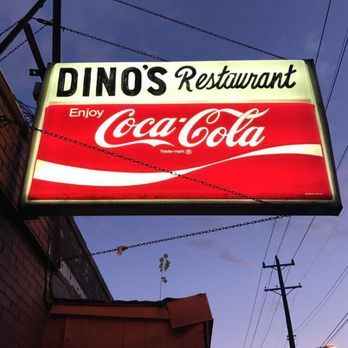 Now, it wouldn’t be a Dive Bar list without Dino’s, Nashville’s oldest Dive Bar. You may drive past this watering hole hundreds of times before you realize it's there and even then the facade isn’t the most enticing in nature but boy their burgers are! Dino’s is the truest of Dive Bars in East Nashville with the simple menu, grunge vibe, and delicious beverages. While the exterior doesn’t lend itself to the most inviting atmosphere, it’s patio space certainly does. You’ll even forget that Gallatin Avenue is just on the other side of the building while you drink your Mason Jar cocktail and play jumbo Jenga with your friends on the patio. It’s a little hike on the edge of what can still be considered ‘East Nashville’ but if you want to truly blend in and drink like a local then you’re going to have to stop on over at Mickey’s Tavern. They are an old school neighborhood bar that doesn’t need the fanfare of Djs, Bands, or even Trivia Night to entice patrons. If you want entertainment then you are welcome to change the tunes on their Jukebox while you an enjoy an ice cold beverage with your companions. They specialize in whiskey selections so big bonus if that’s your drink of choice which, if you’re on a Dive Bar tour, shouldn’t that be your only drink of choice?